AF64394 is a GPR3 inverse agonist, with a pIC50 of 7.3. MS21570 is a GPR171 antagonist that reduces anxiety-like behavior and fear conditioning in mice. TC-O9311 is a potent GPR139 agonist (EC50 = 39 nM in CHO-K1 cells expressing human GPR139). LY2881835 is a potent and selective GPR40 agonist potentially for treatment of type 2 diabetes mellitus. 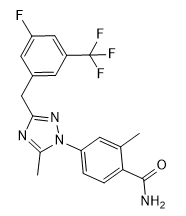 FTBMT is a selective GPR52 agonist. It demonstrates antipsychotic-like and procognitive effects in rodents and has revealed a potential therapeutic agent for schizophrenia. AM-1638 is a potent and orally Bioavailable GPR40/FFA1 Full Agonist. 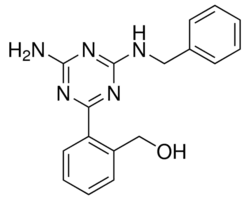 CID 16020046 is a potent and selective GPR55(LPI receptor) antagonist; inhibitsGPR55 constitutive activity with IC50 of 0.15 uM.